SM02-476 Analytical Similarity Assessment in Biosimilar Product Development. 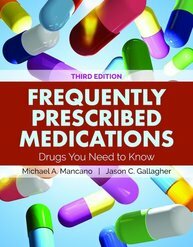 Frequently Prescribed Medications: Drugs You Need to Know, Third Edition is a practical study tool designed to educate and test students about the drugs that are most commonly used in practice, as well as a helpful reference on drug information for health professionals. This comprehensive resource reviews important concepts regarding the use of specific medications and provides clear and succinct information for the drugs that are commonly utilized in clinical practice, ambulatory practice, and hospital practice, including information on prescription, over-the-counter, and natural products. 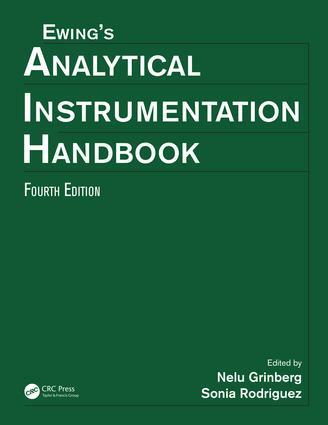 This handbook is a guide for workers in analytical chemistry who need a starting place for information about a specific instrumental technique. It gives a basic introduction to the techniques and provides leading references on the theory and methodology for an instrumental technique. This edition thoroughly expands and updates the chapters to include concepts, applications, and key references from recent literature. It also contains a new chapter on process analytical technology. 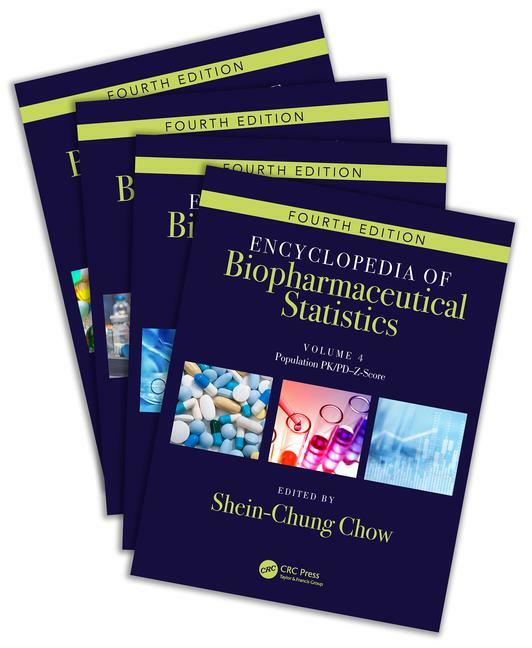 VM01-403 Encyclopedia of Biopharmaceutical Statistics, 4-Vols/Set. Since the publication of the first edition in 2000, there has been an explosive growth of literature in biopharmaceutical research and development of new medicines. 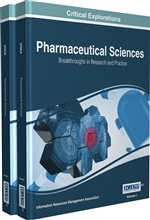 This encyclopedia (1) provides a comprehensive and unified presentation of designs and analyses used at different stages of the drug development process, (2) gives a well-balanced summary of current regulatory requirements, and (3) describes recently developed statistical methods in the pharmaceutical sciences. Features of the Fourth Edition: 1. 78 new and revised entries have been added for a total of 308 chapters and a fourth volume has been added to encompass the increased number of chapters. 2. Revised and updated entries reflect changes and recent developments in regulatory requirements for the drug review/approval process and statistical designs and methodologies. 3. Additional topics include multiple-stage adaptive trial design in clinical research, translational medicine, design and analysis of biosimilar drug development, big data analytics, and real world evidence for clinical research and development. 4. A table of contents organized by stages of biopharmaceutical development provides easy access to relevant topics. 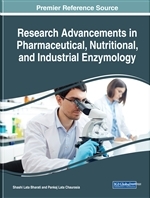 This book attempts to bridge the gap between fundamental and emerging concepts in this field of medicine, publishing innovative studies on efficacy, safety, quality and mechanisms of action of specified plant extracts, phytopharmaceuticals and their isolated constituents. 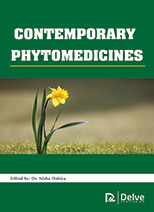 The book publishes innovative and expert findings in the fields of phytopharmacology, phytotherapy and phytotoxicology, as a reference source for researchers in these fields, and with the aim to set international standards in their methodology. Toxicological research targets the identification of risk factors that trigger harmful effects as a result of exposure, which may leads to acute illnesses, chronic disease or even immediate death. This book sheds light on the tools, benefits and applications of the newly introduced field. In addition, an emphasis will be put on toxicogenomic databases and how it improved along the last decade. 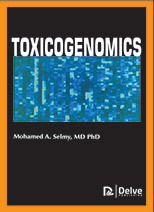 It provides a timely overview of toxicogenomics, with special emphasis on the practical applications of this technology to the risk assessment process. rugs and Society, Thirteenth Edition is written on a personal level and directly addresses college students by incorporating individual drug use and abuse experiences as well as personal and institutional perspectives. Students will find these personal accounts both insightful and interesting. SM02-472 Process Architecture in Biomanufacturing Facility Design. SM02-463 Medicinal Chemistry: An Introduction. Medicinal chemistry and pharmaceutical chemistry are disciplines at the intersection of chemistry, especially synthetic organic chemistry, and pharmacology and various other biological specialties, where they are involved with design, chemical synthesis and development for market of pharmaceutical agents, or bio-active molecules (drugs). 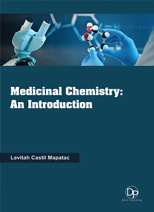 This book provides an introduction to medicinal chemistry. It covers basic principles and background, and describes the general tactics and strategies involved in developing an effective drug. SM02-463 Illustrated Handbook of Medicinal Plants. This illustrative handbook includes specific remedies for asthma, headaches, colds, stomachaches, depression, and many other common ailments. Plants have been used for medicinal purposes long before prehistoric period. Ancient Unani manuscripts Egyptian papyrus and Chinese writings described the use of herbs. Evidence exist that Unani Hakims, Indian Vaids and European and Mediterranean cultures were using herbs for over 4000 years as medicine. Indigenous cultures such as Rome, Egypt, Iran, Africa and America used herbs in their healing rituals, while other developed traditional medical systems such as Unani, Ayurveda and Chinese Medicine in which herbal therapies were used systematically. Traditional systems of medicine continue to be widely practised on many accounts. Population rise, inadequate supply of drugs, prohibitive cost of treatments, side effects of several synthetic drugs and development of resistance to currently used drugs for infectious diseases have led to increased emphasis on the use of plant materials as a source of medicines for a wide variety of human ailments. SM02-463 Illustrated Handbook of Drugs & Alcohol Related Health Issues. This illustrated text provides readers information on drug and alcohol use, discussing types of drugs, reasons for using, and the dangers of using chemical substances. Drugs are chemicals. Different drugs, because of their chemical structures, can affect the body in different ways. In fact, some drugs can even change a person?s body and brain in ways that last long after the person has stopped taking drugs, maybe even permanently. Heavy drinking can cause the number of oxygen-carrying red blood cells to be abnormally low. This condition, known as anemia, can trigger a host of symptoms, including fatigue, shortness of breath, and lightheadedness. Today, one in four deaths is attributable to illicit drug use. People who live with substance dependence have a higher risk of all bad outcomes including unintentional injuries, accidents, risk of domestic violence, medical problems, and death. The impact of drug abuse and dependence can be far-reaching, affecting almost every organ in the human body. SM02-463 Illustrated Handbook of Toxicology. Toxicology has matured since it was defined as the ?science of poisons?. Modern toxicology is no longer anthropocentric but takes on different views at various biological systems, including ecosystems. Each will interact specifically when exposed to defined chemical agents, including drugs. Toxicity is no longer a specific property of drugs and chemicals but an operative term to describe the adverse outcome of a specific drugs-host interaction. Newer developments in toxicology have focused on the host. The key to understanding is in the host proteins that interact with the drug and mediate the cellular response. Hence, the proteom, i.e. the complete set of proteins of a cell, an individual or a species, determines how an exposed biological system may interact with the manifold of different xenobiotics. Structure-activity studies try to find out useful predictive parameters for risk and toxicity assessment. This comprehensive text devises learning strategies that build on the fundamentals to aid readers in toxicology. Among the topics deliberated are the potential hostile effects of drugs, pesticides, food additives and industrial chemicals. Analytical toxicology is the detection, identi cation, and measurement of foreign compounds (xenobiotics) inbiological and other specimens. Analytical methods are available for a very wide range of compounds: thesemay be chemicals, pesticides, pharmaceuticals, drugs of abuse and natural toxins. Analytical toxicology canassist in the diagnosis, management, prognosis, and prevention of poisoning. In addition analytical toxicology laboratories may be involved in a range of other activities such as the assessment of exposure following chemical incidents, therapeutic drug monitoring, forensic analyses, and monitoring for drugs of abuse. Analytical toxicology is important since it is the only means by which objective evidence of the nature and magnitude of exposure to a particular compound or group of compounds can be obtained. Most obviously such objective evidence is needed in a court of law, and most if not all countries have established analytical toxicology facilities as part of governmental forensic science laboratories. They may also be involved in research, for example indetermining the pharmacokinetic and toxicokinetic properties of substances or the e cacy of new treatmentregimens. SM02-461 Advances in Pulmonary Drug Delivery. Analytical toxicology is the detection, identification, and measurement of foreign compounds in biological and other specimens. Analytical methods are available for a very wide range of compounds: these may be chemicals, pesticides, pharmaceuticals, drugs of abuse and natural toxins. 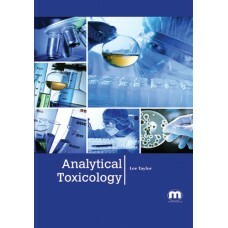 This book provides a comprehensive, thorough, clear, up to date and practical treatment of analytical toxicology at a high standard. SM02-460 Biomolecules, Polymers and Drugs. A biomolecule is any molecule that is present in living organisms, including large macromolecules such as proteins, carbohydrates, lipids, and nucleic acids, as well as small molecules such as primary metabolites, secondary metabolites, and natural products. A polymer is a large molecule, or macromolecule, composed of many repeated subunits. A drug is any substance other than food, that when inhaled, injected, smoked, consumed, absorbed via a patch on the skin or dissolved under the tongue causes a physiological change in the body. 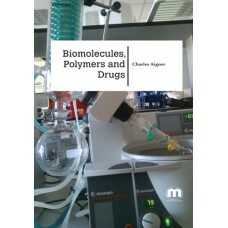 This book deals with biomolecules, polymers and drugs. 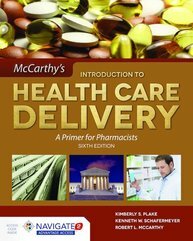 Introduction to Health Care Delivery: A Primer for Pharmacists, Sixth Edition provides students with a current and comprehensive overview of the U.S. health care delivery system from the perspective of the pharmacy profession. Each thoroughly updated chapter of this best-selling text includes real-world case studies, learning objectives, chapter review questions, questions for further discussion, and updated key topics and terms. Introduction to Health Care Delivery: A Primer for Pharmacists, Sixth Edition will provide students with an understanding of the social, organizational, and economic aspects of health care delivery. SM02-451 Professional Skills for the Pharmacy Technician. Professional Skills for the Pharmacy Technician aides technicians in viewing themselves as professionals within the health system. This easy-to-read text addresses some of the skills that could facilitate getting along in the workplace, and increasing safety in health system pharmacies by improving communication. This resource discusses topics in dealing with interpersonal relationships, conflicts, training of new employees, management and supervision within the technician ranks, and the importance of the technician role within the healthcare system. 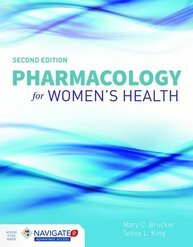 Pharmacology for Women’s Health, Second Edition is a unique text that discusses pharmacology as it specifically relates to women’s health. Completely updated and revised to reflect the changing field of pharmacology, it includes new pharmacological agents for common conditions, changes in indications, the use of vaccines, updated guidelines from the Centers for Disease Control and Prevention (CDC) for treatment of sexually transmitted infections, and the effects of the Affordable Care Act. It also includes new resource boxes in each chapter for easy access to more information. 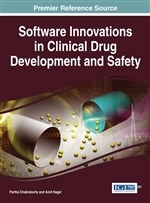 VM01-336 Software Innovations in Clinical Drug Development and Safety. SM02-459 Practical Leadership for Biopharmaceutical Executives. SM02-459 Adverse Effects of Engineered Nanomaterials: Exposure, Toxicology, and Impact on Human Health. SM02-457 Understanding Toxicology: A Biological Approach. hile the historic view is that toxicology is the study of poisons, in fact it is just as appropriate to consider modern toxicology as a way of determining new chemotherapies for cancer, microbial diseases, parasites or fungal infections. Biological Toxicology will thoroughly prepare your students for participation in toxicology research. Through a presentation of experimental evidence, students will understand the process for designing and collecting data in biological toxicology research. In five sections, the book examines the foundations of the field, toxic reactions of cells, toxic reactions of tissues/organs, toxic reactions of ecosystems, and biological toxicants. SM02-456 Biochemical and Environmental Toxicology. Biochemical and environmental toxicology is the branch of biology, chemistry, and medicine concerned with the study of the adverse effects of chemicals on living organisms. The relationship between those and its effects on the exposed organism is of high significance in toxicology. 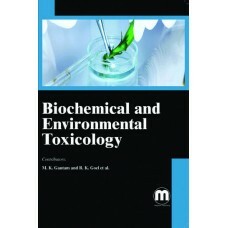 This book examines the biochemical and environmental effect on toxicology. SM02-456 Handbook of Medicinal Spices. Spice is defined as a strongly flavored or aromatic substance of vegetable origin, obtained from tropical plants, commonly used as a condiment. Some of the main spices used in food are Turmeric, Pepper, Cinnamon, Cumin, Ginger, Bay leaf, Cloves, Cardamom, Fenugreek, Garlic etc. Apart from using these spices as culinary ingredients they are also used for medicinal purposes. This book focuses on the importance role of spices, which are important medicines that have withstood the empirical tests of millennia. 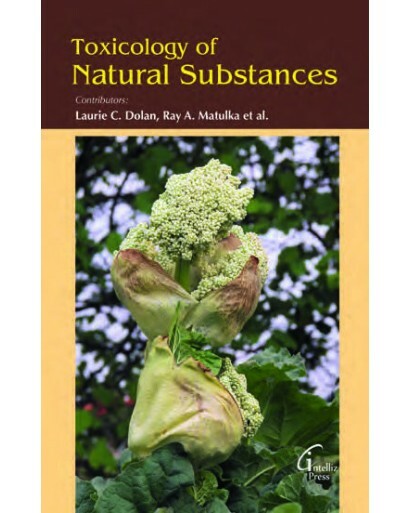 SM02-456 Toxicology of Natural Substances. Toxicology concerned the harmful effects of chemical, biological and physical agents in biological systems that establishes the extent of damage in living organisms. This book gives to an easily accessible resource for vital toxicological information on foods, plants, and animals in key areas in the natural environment. It is a unique resource that provides to practitioners with a wide-ranging, accessible overview of the discipline. The Eighth Edition of the best-selling Pharmacy Practice and the Law reviews federal law and policy as it applies to and affects the pharmacist's practice. The Eighth Edition includes updates to account for new federal legal, regulatory, and policy developments. This comprehensive, accessible text provides background, history, and discussion of the law to enable students not only to learn the facts, but to help them understand, apply, and critically evaluate the information and how it will affect their practice. Challenging open-ended discussion questions and edited cases are included in every chapter to facilitate discussion and critical thinking. Citations to all laws, court cases, regulations, and other documents are provided. Critical issues are discussed in non-legal, easy-to-understand language. Pharmacy Practice and the Law, Eighth Edition is the essential resource both for teaching the facts of federal pharmacy law and for stimulating critical thinking issues in pharmacy law. 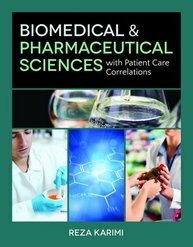 SM02-432 Biomedical and Pharmaceutical Sciences with Patient Care Correlations. Biomedical & Pharmaceutical Sciences with Patient Care Correlations also includes an introduction to the pharmacy profession and emphasizes the concept of professionalism and ethical responsibilities in regards to the pharmacy profession throughout. 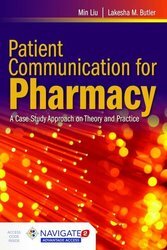 Each chapter begins with a description as why learning that particular chapter is important to function as a qualified pharmacist and also includes pathophysiological and clinical correlations and integrated cases, chapter objectives, highlighted terms, end-of-chapter review questions, and a glossary. 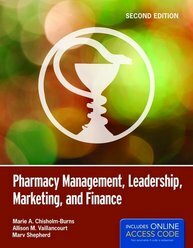 At the conclusion of each chapter there are also “Golden Keys to Pharmacy” to describe the main points that are exclusively related to the pharmacy profession. Student resources include a companion website with practice questions and activities. This broad-based approach to foundational science competencies provides a refreshing foundation of knowledge to assist students throughout their professional courses and beyond. This will certainly help new students to bring all different disciplines together and think about ways to apply the basic concepts in practice settings. SM02-431 Hospital Pharmacy Practice for Technicians. Hospital Pharmacy Practice for Technicians is a comprehensive exploration of all aspects of hospital work and provides a strong foundation for pharmacy technician students going into the field. Duties including IV preparation and automated dispensing are explained. Specialty roles such as medication reconciliation and supervisory positions are discussed, while detailed descriptions of common devices and equipment are given. Hospital Pharmacy Practice for Technicians features a robust professionalism component tailored to interactions in a hospital setting, with an emphasis on decorum, appearance, punctuality, and communication. Licensing requirements, continuing education, finding employment, networking, and interviewing are also covered to assist students in their career. 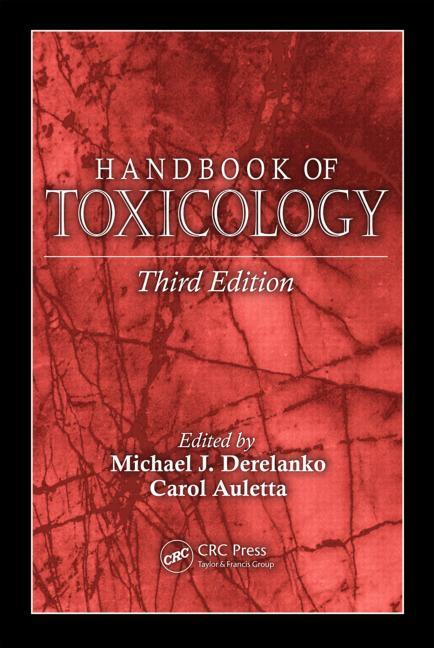 The Handbook of Toxicology, Third Edition provides an updated practical reference source for practicing toxicologists in the pharmaceutical and chemical industries, contract laboratories, regulatory agencies, and academia. Written by experts in their specific toxicology fields, the chapters provide both fundamental and applied information. Topics range from General Toxicology, to Genetic Toxicology, Human Clinical Toxicology, Histopathology, Clinical Pathology, Metabolism and Toxicokinetics, Risk Assessment, and more. New to this edition: •Completely rewritten chapters covering immunotoxicology, endocrine toxicology, and reproductive and developmental toxicology, providing a fresh perspective on these topics •Addition of new chapters on Chemical Toxicology, Pharmaceutical Toxicology, Juvenile Toxicology, and Safety Pharmacology •Updated information dealing with Inhalation Toxicology, Neurotoxicology, and Regulatory Toxicology, which has been consolidated into single chapters for each specialty •A separate glossary with toxicological terms presented both alphabetically and by toxicological subspecialty For nearly 20 years, this handbook has remained the only reference book of its kind, designed to facilitate easy access to information related to the various toxicology specialties. 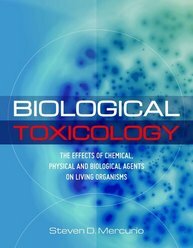 This updated edition of a popular reference book reflects current practices and the state of the science of toxicology. 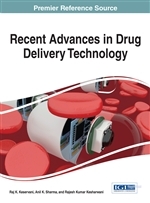 Drug Delivery is the latest and most up-to-date text on drug delivery and offers an excellent working foundation for students and clinicians in health professions and graduate students including nursing, pharmacy, medicine, dentistry, as well as researchers and scientists. 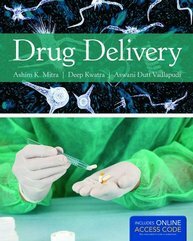 Presenting this complex content in an organized and concise format, Drug Delivery allows students to gain a strong understanding of the key concepts of drug delivery. SM02-436 Concepts in Sterile Preparations and Aseptic Technique. Concepts in Sterile Preparations and Aseptic Technique examines the current standards and best practices for sterile compounding, along with the fundamentals of aseptic technique, in a manner accessible to pharmacy and pharmacy technician students and professionals. Beginning with a review of foundational calculations and microbiological considerations, this resource reviews compatibility, stability, engineering controls, and quality assurance and control, with pertinent information from USP Chapter <797> incorporated throughout. With engaging case studies, tips, alerts, and accompanying video tutorials, this text facilitates student learning through a robust companion website for students as well as helpful instructor resources. SM02-433 Principles of Research Design and Drug Literature Evaluation. Principles of Research Design and Drug Literature Evaluation provides a clinical research and statistical framework for evaluating drug literature to practice evidence-based medicine. This key resource covers principles of clinical research, foundations of statistics, and systematic approach to drug literature evaluation for evidence-based medicine. Divided into three sections, it provides comprehensive course content to meet and exceed the curriculum standards set by the Accreditation Council for Pharmacy Education (ACPE). Part 1 of the book covers Principles of Clinical Research with emphasis on clinical and epidemiologic designs. Part 2, Statistical Principles and Data Analysis, provides foundations of statistical analysis with reviews of common statistical methods. Part 3, Principles of Drug Literature Evaluation, covers sources of drug literature, drug literature evaluation techniques, and application of evidence to patient care using cases. 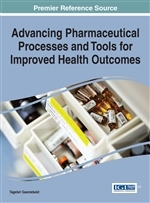 Chapters are written by expert authors specializing in pharmacy practice and research. Each chapter includes learning objectives, review questions, references, and online resources. An ideal foundation for professional pharmacy students, Principles of Research Design and Drug Literature Evaluation is also an excellent reference for pharmacy residents, research fellows, practitioners, and clinical researchers. 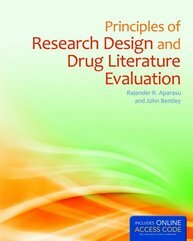 Principles of Research Design and Drug Literature Evaluation is a unique resource that provides a balanced approach covering critical elements of clinical research, biostatistical principles, and scientific literature evaluation techniques. This valuable text will provide pharmacy students and practitioners with a thorough understanding of principles and practices of drug literature evaluation with a strong grounding in research and biostatistical principles. SM02-431 Math for Pharmacy Technicians. 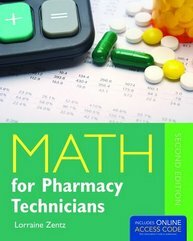 Math for Pharmacy Technicians, Second Edition covers the key math skills needed for Pharmacy Technicians and continues to be an essential resource for both students and practicing Pharmacy Technicians. New and updated content includes more problems, examples, in-depth explanations, and additional coverage of insurance and billing. Presented in a simple and clear manner, students will find numerous solved problems in a step-by-step format that allows for quick comprehension. SM02-431 Pharmacy Management, Leadership, Marketing, and Finance. Written to prepare the next generation of pharmacists to be skilled managers, the Second Edition of the award-winning Pharmacy Management, Leadership, Marketing, and Finance has been completely updated and revised, with a vibrant, engaging layout, improved organization, and several new chapters including “Quality Improvement,” “The Basics of Managing Risk,” “Insurance Fundamentals,” “Integrating Pharmacoeconomic Principles and Pharmacy Management,” and “Developing and Evaluating Clinical Pharmacy Services.” Its concise, reader-friendly style facilitates learning and presents the knowledge, skills, attitudes, and values essential to pharmacy administration. 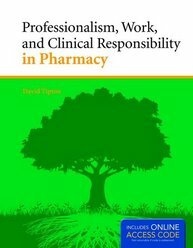 SM02-431 Professionalism, Work, and Clinical Responsibility in Pharmacy. This exceptional guide introduces pharmacy students and residents to the ethical and personal challenges they will encounter in their pharmacy career and provides the tools for success. Utilizing the American Board of Internal Medicine model of professionalism, the text explores practice in the context of developing and applying the ABIM’s six attributes: altruism, accountability, duty, excellence, honor and integrity, and respect for others. This valuable resource deals with the human aspects of being a successful pharmacy practitioner and explores how selfawareness, self-management, social awareness, and relationship management (the four skill areas of emotional intelligence) are blended to accomplish personal, professional, and organizational goals. The text utilizes thoughtprovoking exercises for comprehension of the concepts presented and creating personalize learning plans. These activities as well as realworld case studies provide students with insight into pharmacy practice. 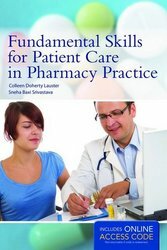 SM02-431 Fundamental Skills for Patient Care in Pharmacy Practice. Fundamental Skills for Patient Care in Pharmacy Practice enables students and new pharmacists to master the skills associated with clinical care in either the inpatient or outpatient setting. In accessible steps, this valuable resource provides the tools for gaining medication histories from patients and counseling them on the most effective and safe manner to take medications. Each chapter explores the background and practice of a critical skill, tools that aid in its development and mastery, and tips for success. Students and pharmacists will come away with the knowledge to identify drug-related problems and formulate plans for solutions to these problems. 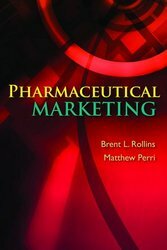 Pharmaceutical Marketing will provide students and new industry professionals with a thorough overview of the general principles of marketing including marketing as a process, marketing effectives in the pharmaceutical environment, and coverage of marketing brand and generic drugs with special emphasis on direct-to-consumer advertising and the impact of social media and technology. SM02-431 Introduction to the Pharmacy Profession. Introduction to the Pharmacy Profession presents a brief history of the profession with an overview of the health delivery system, pharmacy education and training, and the steps towards a professional career. 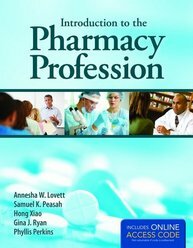 Providing a real-world perspective into pharmacy practice, this beneficial text includes over 35 Pharmacist Profiles, highlighting an overview of each profession related to the specific area of pharmacy. Each professional describes their job duties and responsibilities, a typical day, the pros and cons of their job, and some comments on the profession of pharmacy. Profiles include experts from Academia, Administration, Industry, Community Pharmacy, Retail Pharmacy, Military, Government, Public Health, Home Care, Hospice, various interdisciplinary departments within hospitals, and more. Capstone Pharmacy Review is a helpful guide developed to assist pharmacy students preparing to sit for the NAPLEX certification exam in Pharmacy. This valuable study tool reviews content relevant to the three basic competency areas guiding the NAPLEX exam, associating a given question with the given competency. The proportions of review material devoted to areas of pharmacy practice such as preparation and dispensing of medications, pharmacotherapy considerations, and drug information match those allocated to these areas in the NAPLEX. SM02-427 Fighting Multidrug Resistance with Herbal Extracts, Essential Oils and Their Components. Basic Physical Pharmacy provides a thorough yet accessible overview of the principles of physical pharmacy and their application in drug formulation and administration. This definitive guide to physical pharmacy covers all types of pharmaceuticals, from traditional forms and dosages to nanotechnology-based novel dosage design. Securing And Excelling In A Pharmacy Residency. Securing and Excelling in a Pharmacy Residency is a practical guide and handbook for pharmacy students seeking a residency, residents currently enrolled in a program, and residency program leadership. This user-friendly text encourages high-quality pharmacy residency training, which elevates the individual, the profession, and ultimately patient care. Answering the need for residency training and improvement raised by the ASHP/ACCP joint 2020 initiative, Securing and Excelling in a Pharmacy Residency uniquely prepares students for the increasingly competitive pharmacy residency market. This one-of-a-kind resource is also helpful to guide individuals currently enrolled in a residency and residnecy leadership. This valuable guide also addresses options after residency training, priceless guidance for both current residents and faculty advisers. 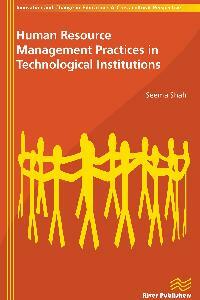 Human Resource Management Practices in Technological Institutions. The present book is one of the unique books related to Human Resource Management in educational system particularly in Technical Education. This is mainly on the basis of feedback from stakeholders of the selected technical book institutions. It kept in view developments & opinion of the Institute of 20th century as well as of the 21st century. Most of the stakeholders selected at large preferred latest application of IT tools for deliv- ery of education, examination, results, vertical growth, maintaining appropriate level of satisfaction of employees, optimum utilization of their intellect for overall development and growth of Institutions. The present book will work as an eye opener for students, researchers and administrators working in technical education systems. SM02-403 Biochemistry for Pharmaceutical Sciences. Biochemistry for the Pharmaceutical Sciences is a concise, practical resource for pharmacy students to apply and expand their understanding of biochemistry as it relates to pharmacy practice. With pedagogical features designed to make complex concepts comprehensible, this text presents biochemistry in a clear and comprehensible format with a pharmaceutical focus. Real-world applications of scientific principles allow students to better comprehend and appreciate how biochemistry will impact their professional practice. SM02-472 Monte Carlo Simulation for the Pharmaceutical Industry: Concepts, Algorithms, and Case Studies. SM02-408 Legal Aspects of Medicines. SM02-408 Pharmaceutical Powder Compaction Technology. SM02-398 Frequently Prescribed Medications: Drugs You Need to Know. Frequently Prescribed Medications: Drugs You Need to Know is a practical teaching tool designed for learning about the drugs that are most commonly used in practice. Important concepts with regard to the use of specific medications are covered as well as the essential information about commonly prescribed medications. The information included for each drug includes: drug class, mechanism of action for the drug class, common brand name(s), generic name, dosage forms, indications, dosing for each indication, initial dose, maintenance dose, maximum dose, renal dosage adjustment, adverse reactions, most common adverse reactions/rare/severe/important, absolute contraindications, major drug interactions, pregnancy category, and key counseling points. With a glossary and end-of chapter questions, this text is a straightforward resource to aid student comprehension. This guide is also an excellent test prep for the Top 200/300 exam. SM02-398 Pharmacy Education: What Matters in Learning and Teaching. Pharmacy Education: What Matters in Learning and Teaching is an essential resource for any pharmacy faculty member. More than a narration of the philosophical aspects of teaching and personal perspectives on life as a faculty member, it explores ‘what matters”, “why it matters”, and “how to apply” the matter to teaching, learning, and assessment in pharmacy education. It covers a variety of teaching settings (e.g., large classroom, small group teaching, clinical site) and guides the reader in developing a deeper understanding of what it means to be a teacher. Scenarios are included in each chapter, offering readers the opportunity to readily apply educational theory to their role as educators and to adapt the book’s content to their specific educational setting. The reader, whether a part-time faculty member, full-time faculty member, or adjunct professor/preceptor, is given the opportunity to personalize the material addressed in the text to his/her stage of development through engagement in reflective workbook exercises. SM02-398 Pharmacy Practice and the Law. The latest version of this best-selling text includes updates to account for new legal, regulatory and policy developments. 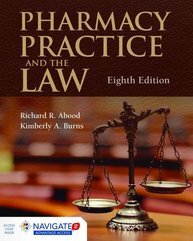 Pharmacy Practice and the Law, Sixth Edition provides background, history and discussion of the law so as to enable the student to not only learn the facts, but to help them understand, apply and critically evaluate the information. The issues covered in this text are discussed in non-legal, easy to understand language. Challenging open-ended discussion questions and edited cases are included in every chapter to facilitate discussion and critical thinking. Citations to all laws, court cases, regulations and other documents are provided. An online instructor’s manual is available. Pharmacy Practice and the Law, Sixth Edition, is a useful resource both for teaching the facts of pharmacy law and for stimulating critical thinking issues in pharmacy law. SM02-395 Pharmacology Case Studies Workbook. Written by a distinguished nursing professional with over 25 years of experience, Pharmacology Case Studies provides nursing students with an opportunity to apply pharmacology concepts to real-world situations. The text features 50 case studies based on real-life clinical situations that challenge students to think critically and develop effective problem-solving skills. Case studies present patients’ medication history, enabling students to learn about the disease process from the point of medication use – an approach used in actual clinical practice. Other features include a review of key terms, home and intensive care scenarios, and a list of variables that must be considered in order to conduct an appropriate case analysis. Also present are a series of questions that will help guide students in developing effective ways to handle the scenario. Perfect for individual or group use, Pharmacology Case Studies is a valuable tool to help prepare nursing students for clinical practice! SM02-393 Drug Safety Data: How to Analyze and Summarize, and Interpret to Determine Risk. The only guide of its kind, Drug Safety Data: How to Analyze, Summarize and Interpret to Determine Risk is an invaluable reference for pre- and post-marketing risk assessment, providing drug safety/pharmacovogilance professionals, pharmaceutical and clinical research scientists, statisticians, programmers, medical writers, and technicians with an accessible, practical framework for the analysis, summary and interpretation of drug safety data. With decades of pharmaceutical research and drug safety expertise, authors Dr. Klepper and Dr. Cobert discuss how quality planning, safety training, and data standardization result in significant cost, time, and resource savings. Through illustrative, step-by-step instruction, Drug Safety Data: How to Analyze, Summarize and Interpret to Determine Risk is the definitive guide to drug safety data analysis and reporting. SM02-433 FASTtrack: Law and Ethics in Pharmacy Practice. SM02-414 PDA Technical Series: Filtration: A Compilation of Technical Reports on Filtration. SM02-395 Innovative Medicine: The Science and the Regulatory Framework. Innovative Medicine: The Science and the Regulatory Framework Volume 12 Pharmaceuticals Policy and Law Edited by: J.L. Valverde and A. Ceci July 2010, 180 pp., softcover ISBN: 978-1-60750-602-7 NEW Price: US$138 / ��95 Scientific progress is providing new opportunities to respond to medical needs as yet unmet, in particular with regard to novel and more efficacious treatments for neglected pathologies such as genetic and rare disorders. In Europe, developments have been delayed in the past because of regional differences in the regulatory environment and the consequent market fragmentation this causes. Not only advances in treatment have dramatically outpaced changes in the financial and social structure of healthcare, but medicines that tackle much less common pathologies are often not developed due to the risks involved with regard to investment return. Stimulated by the intensive debate surrounding these disparities, this book (which is a collection of presentations from the II Foresight Training Course organised by the Gianni Benzi Foundation) examines the issues of developing innovative medicines in Europe. It describes the initiatives being implemented by EMA to facilitate the activities in this complex environment, such as the Advanced Therapies Initiative, the Orphan Drugs Initiative, and includes presentations covering other topics such as the promotion of innovation at a national level, the role of pharmaceutical companies in health research and the balance between treatment opportunities and budget control. Thanks to the contribution of experts and regulatory operators from the Task Force in Europe for Drug Development for Young (TEDDY), the book also presents the most recent advances in Paediatric Medicines. 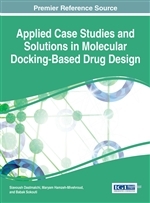 Of interest to medical professionals, policy makers, regulators and those working in pharmaceutical research, this book provides a valuable overview of the situation with regard to the development of innovative medicines, in Europe and beyond. SM02-383 Detection and Prevention of Adverse Drug Events: Information Technologies and Human Factors. When someone enters hospital for examination or treatment, is given a doctor’s prescription, receives medication from a pharmacist or has his drugs administered by a nurse, he assumes that his health and welfare will benefit from this medical intervention. But the effectiveness of available therapies should also be viewed from the perspective of potentially negative consequences: adverse drug events (ADE). ADEs endanger patients’ safety and increase hospital costs, making reduction of preventable ADEs a crucial and challenging Public Health issue. This book presents papers from the workshop 'Patient Safety through Intelligent Procedures in medication' focusing on the following topics: # The identification of ADE and medication errors in hospital settings # The role of human and organisational factors on ADE and medication errors # Information and Communication Technologies to prevent or correct ADEs and medication errors. The papers in this book are the work of active scientific experts in the field and confront ideas and experiences arising worldwide, and in particular from several EU projects directed at resolving ADE problems. Here is an opportunity to find common ways for solving shared difficulties and make improvements happen. SM02-379 Pharmacy Technician Laboratory Manual. 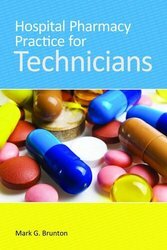 Pharmacy Technician Laboratory Manual provides pharmacy technician students with opportunities for the practical application of theory by supplying different scenarios one might encounter working in a pharmacy. This manual will give students and educators different lab exercises that range from prescriptions, anatomy and physiology, law and ethics, HIPAA, compounding and infectious disease, and more. 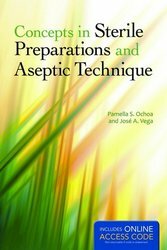 Each chapter of this manual focuses on lab exercises that pertain to didactic learning. Each chapter also includes questions and answers relating to the exercises, and an answer key is available for instructors. SM02-379 A Health Educator's Guide to Understanding Drug Abuse Testing. The drug free workplace initiative was started in 1986 by President Ronald Regan when he issued an executive order to develop guidelines for drug abuse testing for Federal Government employees. Since then, most state, government, and private employers have adopted the policy of a drug free workplace. Today, pre-employment drug testing is almost mandatory and passing the drug test is a condition for hire. A Health Educator's Guide to Understanding Drug Abuse Testing describes in layman’s language the process of testing for drugs and provides coverage of what potential employees are being tested for, how the tests are performed, and what foods and drugs may affect the test results and may jeopardize a person's chance of being hired. Written by a practicing toxicologist, this text gives health educators a solid foundation in the process of drug testing and helps them understand how different methods of cheating drug tests are rendered ineffectual. Pharmaceutical Pharmacology, encompassing 78 chapters, is divided into four major comprehensive parts. Part A deals with general pharmacology, pharmacology of peripheral nervous system and pharmacology of central nervous system. Part B is concerned with pharmacology of cardiovascular system, drugs acting on the hemopoetic system, drugs acting on the urinary system, autocoids and drugs acting on the respiratory system. Part C contains chapters on drugs acting on the gastrointestinal tract, pharmacology of endocrine system, chemotherapy and principles of toxicology. Part D discusses mainly clinical pharmacy, pharmacotherapy, important disorders of organ system and their management, therapeutic drug monitoring and concept of essential drugs and rational drug use. 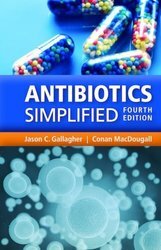 To provide a realistic approach to the understanding of the subject, each chapter commences with a crisp introduction followed by classification, treatment of each class of drugs with reference to important `drugs` vis-a`-vis pharmacological actions, pharmacokinetic actions, mechanism of action, therapeutic uses, dosage regimens, adverse drug reactions, drug interaction, etc. The text is profusely illustrated with labelled diagrams, graphics and lucid explanations. 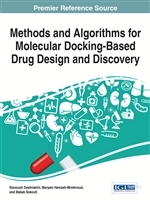 It provides the reader an explicit route starting from the molecular understanding of receptors and drug activities to the therapeutic applications of the most important class of drugs. SM02-375 Modern Pharmaceutical Industry: A Primer. Pharmaceutical biotechnology is evolving as an increasingly vital tool in the field of life sciences by contributing to diagnostic medical tests, therapeutic drugs and also gene therapy for hereditary diseases. Pharmaceutical biotechnology tools such as recombinant proteins and transgenic organisms have revolutionised life sciences. This book aims to explain the basics and applications of pharmaceutical biotechnology to readers new to the subject. It is written and presented in a clear, easy-to-follow manner, and contains numerous figures and illustrations to explain the material. Consisting of 25 chapters divided into 5 units:- genetic engineering, plant biotechnology, animal biotechnology, microbiology and industrial biotechonology and nanobiotechnology – the book gives concise descriptions across all areas of biotechnology, brings the reader up to date with the latest findings, and also looks at what the future prospects have in store. Each chapter also offers suggested readings for further study. SM02-374 Towards Drugs of the Future: Key Issues in Lead Finding and Lead Optimization. The scope of this book is that the pharmaceutical industry must change the way it operates. The editors of this book feel that the current business model is economically unsustainable and incapable to meet expectations of modern society. The number of novel medications in the global industry pipeline is insufficient to suffice demand of the markets, the financial performance of several companies is declining, sales and marketing costs are rising, regulatory constraints are increasingly challenging and overall reputation of industry is tarnishing. Unmet medical needs must be better addressed and tangible benefits need to be exposed in order to be rewarded by healthcare payers. In addition, the focus is shifting from simple treatment of the ill to preventative measures and health management. This volume addresses newest development in synthetic and medicinal chemistry with the emphasis on global challenges. One of the goals is to ensure that new chemistry develops novel technologies in which system biology approach or target approach is computer simulated, testing is performed in silico on rat or human digital models and synthesis of molecules is restricted to intelligent synthesis of treatments based on simulations. Implementation of such new technologies requires the pharmaceutical industry to rethink and adopt the current business model in order to contribute value to the healthcare systems of the future. SM02-369 Managed Care Pharmacy Practice. Managed Care Pharmacy Practice, Second Edition offers information critical to the development and operation of a managed care pharmacy program. The text also covers the changes that have taken place within the delivery of pharmacy services, as well as the evolving role of pharmacists. SM02-365 E-Prescribing: The Electronic Transformation of Medicine. e-Prescribing: The Electronic Transformation of Medicine will help health professionals adapt to and prepare for changes in electronic medical records and health information technology. It provides a thorough summary of the key issues surrounding electronic prescribing in the U.S. by explaining the limits, cautions, and analyses necessary for successful implementation and patient satisfaction. The benefits and disadvantages of e-prescribing are presented, and the influence of e-prescribing on patients, pharmacists and physicians is detailed. This book also discusses the future of e-prescribing, focusing on how it will impact the health industry professionally and economically. Current systems for implementing e-prescribing are explored, as are the current software and hardware requirements, the global implementation of e-prescribing, and the components which could expedite the use of e-prescribing in the U.S. A unique and instructional reference on electronic prescribing from A to Z, e-Prescribing: The Electronic Transformation of Medicine, also includes a glossary of terms and a complete listing of current and planned e-prescribing companies, technologies, and systems. SM02-358 Electronic Prescribing: A Safety and Implementation Guide. As healthcare technology advances, health professionals who work with prescriptions or medical orders will need to learn about electronic prescribing soon. Electronic Prescribing: A Safety and Implementation Guide explores how e-prescribing works, identifies features that help or hinder safe prescribing, and offers practical advice for implementing e-prescribing. Readers will learn to use electronic prescribing technology safely and effectively in the multi-disciplinary, complex environment of today's healthcare. SM02-404 Fundamentals of Analytical Toxicology. SM02-383 Bulletin on Narcotics: Review of the World Cannabis Situation. SM02-371 Drug Benefits and Risks: International Textbook of Clinical Pharmacology. This updated and revised 2nd edition of Drug Benefits and Risks is an inclusive reference exploring the scientific basis and practice of drug therapy. The key concept is to look at the balance between the benefits and risks of drugs, but in this context also highlighting the social impact which drugs have in modern societies. Taking an evidence-based approach to the problem, the practice of clinical pharmacology and pharmacotherapy in the developing as well as the developed world is examined. For this purpose the book covers general clinical pharmacology, pharmacology of various drug groups and the treatments specific to various diseases; the book gives guidance on how doctors should act so that drugs can be used effectively and safely; and it encourages the rational use of drugs in society. This publication brings together a large amount of excellent content that will be invaluable for anyone working within, or associated with, the field of clinical pharmacology and pharmacotherapy - undergraduates, postgraduates, regulatory authorities and the pharmaceutical industry. Comprising of the two disciplines that give this book it’s title, this revised and updated new edition takes the knowledge of drugs and the use of natural medicines as its central teaching agenda. Covering a broad spectrum of topics, it will be suitable for upper level courses in applied chemistry, phytochemistry, pharmacognosy, pharmaceutical chemistry and diverse fields of biotechnology. It contains 15 chapters, which are subdivided systematically to better facilitate the descriptions and explanations of each topic. Professor Kar has illustrated the book with clear, didactic figures giving the chemical structure of thousands of drugs and drug derivatives. And each chapter is meticulously researched and referenced, providing the latest knowledge on the discovery, history, and past, present and future application of the drugs in question. “Pharmacognosy and Pharmacobiotechnology” is an outstanding book, to be used on diverse senior level university courses and as a reference work in academic and commercial libraries. SM02-379 Principles and Practice of Pharmaceutical Medicine. SM02-374 Handbook of Regression and Modeling: Applications for the Clinical and Pharmaceutical Industries. SM02-356 Key Issues in Pharmaceuticals Law. The focus of Key Issues in Pharmaceuticals Law is on the ongoing achievement of an authentic world code for medicinal products – a so-called “Pharmacopoeia” – through scientific technical harmonization. The legal dimension of medicinal products conditions the whole sector and it acquires a global dimension through the demand to protect people’s health. Hence it is necessary to go forward to total harmonization of all its aspects. A global legal statute for medicinal products is justified by the very nature of the product, by its social control and the need for it to circulate freely, although limitations can be accepted, for reasons of solidarity with less favored populations. Awareness must arise that the challenge for healthcare is not going to find an adequate answer at the world level without a qualitative change in the world organization of the UN. The globalized world we live in demands reinforced continental solidarity, if we are to confront the common problems and bring about international order. A scientific technical code on the quality of medicinal products is essential for a statute on medicines. That code is the Pharmacopoeia. SM02-353 Pharmaceutical Calculations for Pharmacy Technicians: A Worktext. SM02-338 Patient Care Management Lab: A Workbook for Prescription Practice. SM02-335 Treatments from Toxins: The Therapeutic Potential of Clostridial Neurotoxins. VD04-239 Encyclopedia of Pharmaceutical Technology, 6-Vols/Set. SM02-359 Regulations and Guidance on Protection of Human Subjects: Clinical Investigator, IRB and Sponsor Responsibilities. SM02-339 Responsibilities in the Efficient Use of Medicinal Products: Pharmaceuticals Policy and Law, Vol. 8, 2005, 2006, 1-144. This emphasis of this book is on the problem of the efficient use of medicinal products. It is known that this is a subject that is neither new nor unknown. Hundreds of articles have been, and will continue to be written about it. Yet it has not been resolved. The lines of consensus to tackle it have not even been defined, and there are many opinions about different aspects. What is needed is overall consideration and then to try to act on common agreed bases. But first the problem must be analysed, and so the book raises the problem in the form of a Forum. The different actors have to be heard, and the governments, too, of course, which express themselves through the legal system. We are far from providing an adequate response in any national legal system. The debate is still open, but society is waiting for replies from those who have responsibilities. There is no one right answer. Many actors are jointly responsible in this situation. The editors do not hope to exhaust the subject but rather to highlight its existence and the fact that there are so far no adequate answers. Both the Administrations and professional actors can delay no longer and must now act. SM02-332 Nurse's Pocket Drug Guide 2007. SM02-332 Pharmacophores and Pharmacophore Searches. SM02-327 Modell's Essential Drugs in Current Use and New Drugs, 2006. Now in its fifty-second year, this annually updated drug reference provides succinct information on the new drugs of this year and on medications in current use. It offers a concise and portable alternative to the mega drug reference volumes available elsewhere. The compact format contains essential information on nearly 1,100 generic drugs, with cross references to over 1,200 trade names. Highlights include a glossary listing the common side effects of the drugs. Special attention is given to the new drugs with expanded patient care implications for nurses and other allied health professionals. SM02-323 EDHF: The Complete Story. Virtual ADMET Assessment in Target Selection and Maturation: Volume 6 Solvay Pharmaceutical Conferences. Today, biologists and medicinal chemists realize that there is a strong relationship between pharmacodynamic (what the drug does to the organism) and pharmacokinetic (what the organism does to the drug) effects. A significant contributing factor to the evolution in drug discovery was the methodological and technological revolution with the advent of combinatorial chemistry, high-throughput screening and profiling, and in silico prediction of target-based activity and ADMET (absorption, distribution, metabolism, excretion and toxicity) properties. High-throughput screening and in silico methods have accelerated the process towards drugability of new chemical structures. Another component of the revolution in drug discovery is the replacement of the disease (indication)-based approach by a target-based approach. A better understanding of pathophysiology of diseases and the underlying biological processes of diseases combined with explosive development of genomics and proteomics have been instrumental in the birth of this new paradigm. 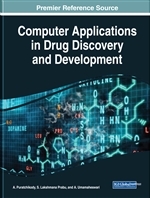 This volume summarizes discussions of these three aspects of modern drug discovery, i.e. priority for targets, early ADMET assessment, and in silico screening. We trust that readers from academia as well as from industry will benefit from these studies. SM02-331 Side Effects of Drugs Annual 28. SM02-330 Amylin: Physiology and Pharmacology. SM02-326 Pharmacotherapy of Heart Failure. Heart failure has been traditionally explained as a reduction in cardiac pumping capacity, caused by problems in the blood. Till now the therapy prescribed has been symptomatic, involving the use of diuretics, muscular stimulation and blood vessel relaxants. But recent research has focussed on the circumstances leading up to heart failure, which includes abnormal hemodynamics, atherosclerosis, dietary and nutritional anomalies, obesity, immunity and other metabolic disorders. This book brings together such research in one volume, including molecular and cellular aspects of heart failure and its pathophysiology. It is a significant contribution to the understanding and prevention of heart failure, and will be welcomed by cardiologists, pharmacologists, biochemists, and all those who practice and research the subject. Availability and easy accessibility to quality medicines for the population is an important component in the health care services of any country. If the primary health system is not able to provide medicines at all times, then that system will fail and people will not use it. Though pre-judged as primarily a Third World issue, the cost of medicine is a matter of global concern. The World Health Organisation has been at the forefront of introducing and implementing schemes involving the concept of essential medicines and their supply. This book describes and discusses those schemes. SM02-326 Prime Ayurvedic Plant Drugs. In recent years ayurvedic healing has gained credibility in Western medicine and it has now become an accepted means of treatment for many ailments. This treatment relies upon the therapeutic pharmaceutic efficacy of plants. This book brings ancient and modern together by correlating the important traditional therapeutic claims of 89 ayurvedic plant drugs with the findings of modern scientific investigation. It provides the therapeutic attributes of each plant as well as indicating their potential for use as modern herbal or molecular drugs. It also provides a useful standardization of classical ayurvedic formulations. This book will serve as an excellent reference work for chemists, botanists, pharmacists and medical professionals. SM02-322 Pocket Guide to Chemotherapy Protocols. Spiral bound and arranged alphabetically by cancer type for easy access, the Pocket Guide to Chemotherapy Protocols, Second Edition serves as a handy, quick reference for physicians, nurses, and other health care providers treating cancer patients. Completely revised and updated in this new edition, the Pocket Guide contains combination as well as selected single-agent regimens for solid tumors and hematologic malignancies. In each case, the regimens selected are based on the published literature and are used in clinical practice in the medical oncology community. An indispensable quick-reference resource for all cancer care professionals. SM02-321 Laboratory Auditing for Quality and Regulatory Compliance. SM02-321 Handbook Dermatologic Drug Therapy. 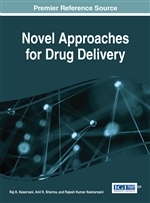 Drug discovery and development is a challenging, expensive and time consuming field of research, requiring contributions from chemists, pharmacologists, toxicologists, clinicians and practitioners. The ultimate goal is to generate a safe and biologically active drug which can stall, or even reverse, the pathological events that cause the disease condition. But in the search for the drug a host of tests and trials must be applied to evaluate the efficiency and safety of the newly developed molecule in the biological system. These trials or “screening methods” are critical. On their basis the new molecule either becomes accepted for usage, or is discarded forever. Advances in drug research have forced the need for quicker, more automated screening methods, using molecular techniques applied in vitro, in vivo and in clinical systems. Researchers need to know the latest developments outside their own speciality. With this book, Professor Gupta has brought together in one coherent volume the most up to date developments of consolidated screening methods for biological systems. SM02-319 Pharmacological Therapies for Peripheral Vascular Disease. SM02-313 Modell's Drugs In Current Use And New Drugs 2005. Now in its fifty-first year, this annually updated drug reference provides succinct information on the new drugs of this year and on medications in current use. It offers a concise and portable alternative to the “mega” drug reference volumes available elsewhere. The compact format contains essential information on nearly 1,100 generic drugs, with cross references to over 1,200 trade names. Highlights include a glossary listing the common side effects of the drugs. Special attention is given to the new drugs with expanded patient care implications for nurses and other allied health professionals. SM02-314 Theory and Practice of Contemporary Pharmaceutics. SM02-314 Temperature and Toxicology: An Integrative, Comparative, and Environmental Approach. SM02-311 Pharmaceutical Product Strategy: Using Dynamic Modeling for Effective Brand Planning. VM01-58 Encyclopedia of Health Care Management. Health care is one of today's most discussed and debated topics. From issues such as accessibility to costs to quality, the debates range widely among doctors, patients, employers, and insurers. A popular topic in political campaigns and the media, health care and health care management is also a quiet and unremitting concern in the private and personal lives of individuals who worry about someday having to choose between food and prescription drugs. The Encyclopedia of Health Care Management will prove invaluable to libraries serving students and professionals in health and business. It will also be an essential reference for health providers and their employees, and students and professors in health and management for responsible and successful practice and administration in the health care industry. VM01-38-1 Handbook of Social Studies in Health and Medicine, The. VD04-153 Carbohydrate-based Drug Discovery, 2-Vols/Set. Carbohydrates play a central role in metabolism, cell-cell recognition, and pathogen defense. To exploit the full potential of this diverse compound class for the development of pharmaceutically active substances, this handbook brings together the latest in carbohydrate chemistry with recent knowledge on the biological function of carbohydrates and their derivatives. Particular emphasis is placed on carbohydrates with pharmaceutical potential, including the most promising carbohydrate-based therapies currently available. From the Contents: * Complex Carbohydrate Synthesis * Solid-Phase Carbohydrate Synthesis * Glycopeptides and Glycoproteins * Synthetic Carbohydrate-based Vaccines and Antibiotics * Carbohydrate Mimetics * Sequencing of Oligosaccharides and Glycoproteins * Carbohydrate Microarrays * Multivalent Carbohydrate Ligands * Glycosylated Natural Products * Glycosyltransferase Inhibitors * Sulfotransferase Inhibitors * Carbohydrate-based Treatment of Cancer * N-Acetylneuraminic Acid Derivatives as Anti-influenza Agents * Aminoglycosides and Macrolides in RNA Recognition A premier resource for carbohydrate chemists and drug developers, this comprehensive two-volume handbook contains contributions by more than 80 leading carbohydrate chemists. SM02-307 Study Guide for Institutional Revies Board: Management and Function. Published in partnership with the Applied Research Ethics Association (ARENA), this study guide companion to Institutional Review Board: Management and Function facilitates the application of knowledge acquired from the textbook. Written by IRB people for IRB people, this study guide is a useful resource that promotes the professional development of people working in the field of human subjects protection. VM01-46 Handbook of Mind-Body Medicine for Primary Care. The Handbook emphasizes the concepts and technologies of clinical psychophysiology in providing an evidence-based empirical approach to problems of patients in primary care medicine from a biopsychosocial perspective. This Handbook introduces conceptual models from the psychophysiological perspective for understanding functional medical problems and describes specific clinical tools and interventions. It provides overviews of the best documented cognitive-behavioural approaches and alternative therapies to common disorders of primary care; and gives recommendations as to necessary education for practitioners in each of the mind-body disciplines (physicians, behavioural psychologists, nurse practitioners, etc.). The four editors are proponents of biofeedback, clinical psychophysiology, and related behavioural approaches. These approaches emphasise the acquisition of skills increasing a patient's ability to self-regulate physically, emotionally, and behaviourally. The Handbook covers such therapies as biofeedback, voluntary control skills training, health education, and behavioural and cognitive therapies. In line with a humanistic orientation, the book concludes with a look at the existential and spiritual side of the human encounter with sickness and disease. VM01-39 Advanced Handbook of Methods in Evidence Besed Healthcare, The. The `effectiveness revolution' both in research and clinical practice, has tested available methods for health services research to the extreme. How far can observational methods, routine data and qualitative methods be used in health care evaluation? What cost and outcome measures are appropriate, and how should data be gathered? With the support of over two million pounds from the British Health Technology Assessment Research Programme, the research project for this Handbook has led to both a synthesis of all of the existing knowledge in these areas and an agenda for future debate and research. The chapters and their authors have been selected through a careful process of peer review and provide a coherent and complete approach to the field. The handbook has been a unique collaboration between internationally regarded clinicians, statisticians, epidemiologists, social scientists, health economists and ethicists. It provides the most advanced thinking and the most authoritative resource for a state of the art review of methods of evaluating health care and will be required reading for anyone involved in health services research and management. VM01-40 Handbook of Program Development for Health Behavior Research and Practice. VM01-38 Handbook of Social Studies in Health and Medicine, The. SM02-100 Side Effects of Drugs Annual 19: A Worldwide Yearly Survey of New Data and Trends. SM02-100 The EMS Pocket Drug Manual: A Quick Reference Guide to Over 3,500 Drugs.